I was looking for a recipe for a whole wheat bread that would taste something like the rolls they used to serve at The Good Earth restaurant, a health food chain that used to exist in California. I couldn't find anything that looked right, so I made something up. It turned out excellent (though, if anyone can find a recipe for the original Good Earth rolls, let me know). Mix the hot water and whole wheat flour together in a bowl. Cover the bowl with plastic and set aside until around room temperature, at least 1 hour. (My thought is that soaking the flour may help soften the bran and release some of the sugars in the wheat, though, truthfully, I don't know for sure if it does). Add the milk, honey, salt, yeast, and bread flour to the original mixture and mix until well combined. Add additional flour and knead by hand or in a stand mixer until a tacky but not completely sticky dough is formed. Place the ball of dough in a well-oiled bowl, cover with plastic wrap, and set aside to rise for 60 to 90 minutes. Divide the dough in two and shape the loaves. Place the loaves in greased bread pans, cover the pans loosely with plastic (I put them in a plastic bag), and set aside to rise again for 90 minutes. During the final 30 minutes of rising, preheat the oven to 425 degrees. Place the pans into the oven and immediately reduce the oven temperature to 375 degrees. Bake for approximately 45 to 55 minutes, rotating the pans once so that they brown evenly, until the internal temperature of the loaves is around 190 degrees and the bottom of the loaf sounds hollow when tapped. I used evaporated milk because my milk powder smelled funny. Seriously. I happened to have a can of evaporated milk in the cupboard left over from Thanksgiving (a pumkpin pie that was never made). than if you had added dry milk or regular whole milk. The extra fat made the whole wheat bread more tender. A cup of undiluted evaporated milk contains about 19 grams of fat. A cup of whole milk contains only about 8 grams of fat. Example: Out of a 240 ml cup of undiluted evaporated milk, 19.05 grams of the total weight of the cupful come from fat. I would use whatever you have in the house. Plain milk would be fine. Evaporated milk is sweet, so you may want to add a bit of extra honey or sugar, like a tablespoon or so. It is completely a matter of personal taste though. I'v read throughout this site that ingredients should be weighed. Should I be weighing the ingredients here? I did for the wheat flour and water, and it seems awefully thick, as in not enough water. Is this what I should be expecting? of liquids total (water +evaporated milk). That should be plenty. Did you remember the milk? But, the instructions say mix wheat flour and water first and let sit for an hour. Do mix just the whole wheat flour and water as instructed. Pre-ferments are on the thicker side depending on whether a pate fermente, biga, poolish..wetter are barms. Once you mix it with the other ingredients, it will be just fine. 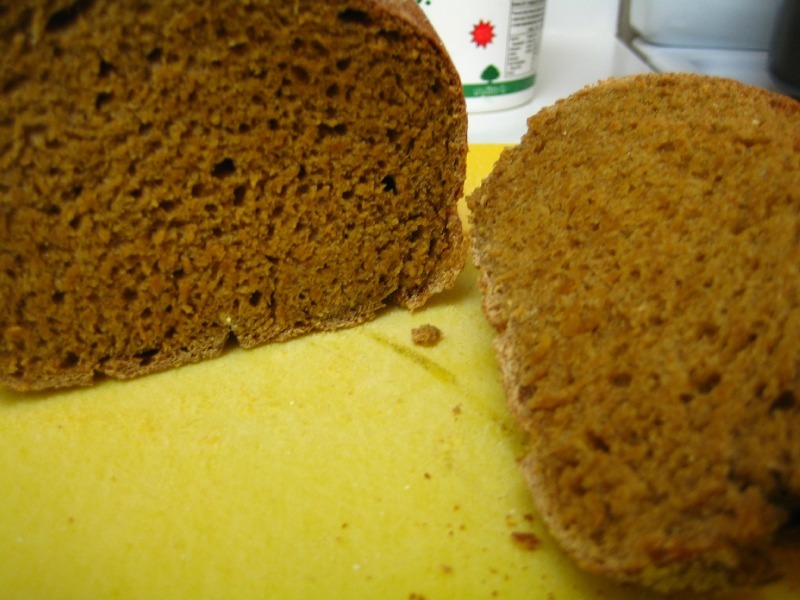 This formula makes an awesome whole wheat loaf..you're going to love it!! big time. I didn't see the part about soaking the wheat flour and just dived right in. So, I had to use much more flour and I expect that when they finish baking them they will make great paving stones. The old saying still holds true "If all else fails, read the directions." Next time I'll read twice and bake once. This sounded like such a great recipe, I will try again. I have tried to make this formula twice and today I made an effort to make sure it was hydrated. With 3 T of Yeast it should rise like crazy. I get a decent primary ferment but after I form the loaves it won't rise above a standard pan and doesn't really fill the sides. The only change I mad was I split the WW and AP 50/50 instead of a pound of WW and 1/2 pound AP. I haven't baked the batch yet but it isn't looking good and it's been 10 hours in the pans. It looks like they actually fell some instead of rising. I love whole wheat but so far no luck. Just saw the pic. From what I see, it looks like the dough doesn't have enough surface tension, and may be underdeveloped. This weekend, I'll see if my wife wouldn't mind acting as camera operator, and I'll post a video of how I shape a sandwich loaf. Also, if you're using 3 tablespoons of yeast, the rise probably poooped out quickly. You'd do better with 2 teaspoons (if it's a typo and you meant teaspoons, my apologies). That would be great. I would love to see how it's supposed to be done. I'm pretty sure I wouldn't have used 3 T of instant yeast. I used Floyd's recipe at the top of the page which calls for 3 tsp. I had forgotten that more yeast means the food gets eaten more quickly, thus a shorter rise. That might be part of it also. I look forward to seeing your video, thanks. After looking at this thread and seeing the large number of flops I'm wondering if maybe you could define how much kneading or what kind of gluten development you are using. I have done this now with Bobs Red Mill WW and KA and had almost no rise after maybe 25% at the first. I really don't want to add natural Gluten additive unless I can't get it to rise any other way. I noticed that the mixer wasn't getting it done so I kneaded on the counter and the dough finally did develop somewhat and start to feel a little like what I am used to with AP flour. The loaves I posted above were cooked to 190 and tasted great if dense. Nothing like the beautiful sandwich loaf pictured at the top. A god?! Finally, I have minions! (rubs hands, cackles, mumbles "What we do every night! Take over the world!" then slaps self in the face vigorously until properly sedated). Try soaking part or all of the flour overnight, by itself, as a preferment, or both. 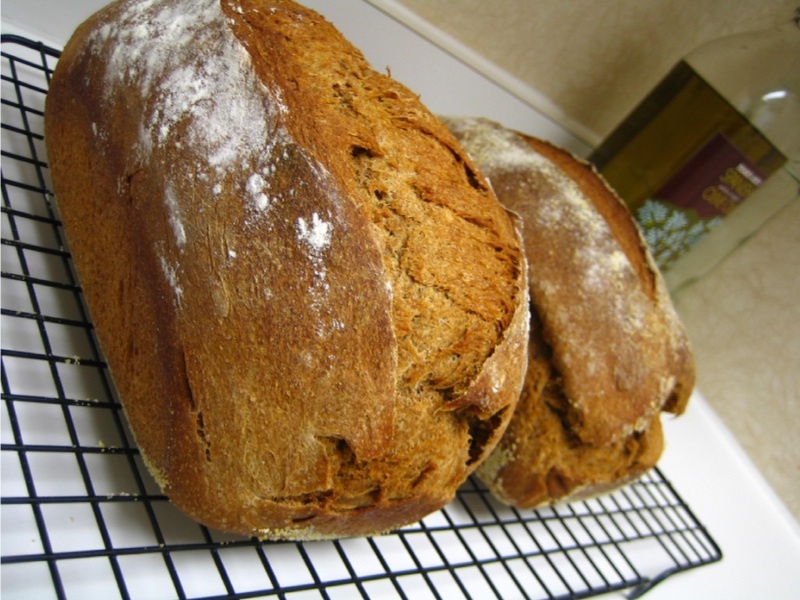 The Bob's Red Mill Cookbook has an overnight soaker recipe where he puts it in the fridge, and in the BBA, Peter Reinhart uses a soaker and preferment technique in his whole wheat bread. If you leave a soaker on the counter, it's not a bad idea to some salt so it doesn't become too gloopy. When you're ready, add any other ingredients and then knead it all up. Should only take 5-10 minutes, at best, to get it to windowpane well. If you don't soak, do an autolyse. With whole wheat, I like a long autolyse of about an hour. It really helps develop the gluten. If you're not soaking or autolysing, knead 300 strokes per loaf. That's 600 strokes or about 20 minutes for a typical two-loaf recipe. Fold the dough once or twice during the bulk rise. It really helps. A lot. With sourdough, make sure the final rise is at about 80-85 degrees F. I've seen a tremendous difference (for the better) in the rise and flavor of my sourdoughs since I started proofing my loaves in my makeshift proof-box (a picnic cooler with 1 cup hot water poured in the bottom). For sandwich breads, adding dairy products (1 Tbs butter per loaf, dry milk, milk or buttermilk for all or part of the water) helps. I'm no chemist, but from what I've read, dairy products help strengthen the gluten strands so that the air bubbles are less likely to pop. Whatever the reason, dairy doughs rise higher, in my experience. Preshape the dough, wait 10 minutes, then make the final shape. For example, when I'm making sandwich loaves, I first preshape each loaf as a rough batard, and, then, 10 minutes later, roll it up into a sandwich loaf. It helps to increase the surface tension, which is critical to a good rise. I hope that helps. If anything's not clear, let me know and I'll try to expand. For what it's worth, I've been one of the (many, many) testers on Peter Reinhart's upcoming whole grains book, and I've learned an awful lot. I think a lot of folks with give whole grain breads another shot -- and another look -- once it's finally published. I appreciate your taking the time to enlighten me and others who have been having trouble with this. I'll give it another try this weekend. I took your tips to heart and was able to incorporate 3 of your ideas into my loaf. The results are amazing considering the NHL had asked me to bake pucks next year. The 3 things I did differently or better were to 1.) use a preferment, 2.) Folded 3 times during the bulk ferment, 3.) Use a warm final rise temp. and 4.) Preshape and rest before forming trying to increase the surface tension. I did get a nice final rise and a respectable oven spring. The crumb is airy and full of flavor. Thanks to mountaindog and others who have been reporting on better dough from repeated folding. It's one of those things that doesn't show you any benefit while you are doing it but the rise comes faster and the dough is less likely to fall at the first tremor. I am trying to make this loaf, but when I put the 12 oz of hot water into my (very coarse) whole wheat flour, the flour didn't even get wet. As an experiment, I kept adding a bit of water until all of the flour was moistened -- it was well over 3 cups of water! The dough/water mix looks like a stiff, thick wet paste -- is this what is supposed to look like? that this initial mixture is just a 'pre-soak' to give the whole wheat a bit of a headstart. It would definitely be a thick pasty sort of affair. The hydration at this stage shouldn't much matter- you can always correct it when you go to mix the final dough, and don't forget you've still got milk and honey to add. Just be sure to keep it covered! It may be that your coarse flour is absorbing a lot more. 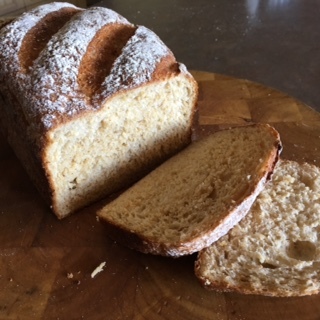 When I make 100% whole wheat I usually make a sponge in which some of the flour and a little yeast sit in most of the liquid for an hour or more. i added over a cup of bread flour at the end as I was kneading and the bread was very slack and sticky. I was afaid to add any more flour to it so I just set it to rise. It rose a lot. When it was time to shape I really couldn't, it was very wet. So I more or less just split it in half and put it in the pans. It rose again quite nicely. I don't think I overproofed it but now in the oven the tops look flat. Is that because I couldn't shape it? It smells good in the oven - lets see what happen. There is one other thing I did differently, I used the water left over from boiling potatos - the first 12 oz.of hot water. Honey Wheat loaves: There were such a variety of results for this bread I thought I'd give it a go to take a break from artisan/sourdough 101. 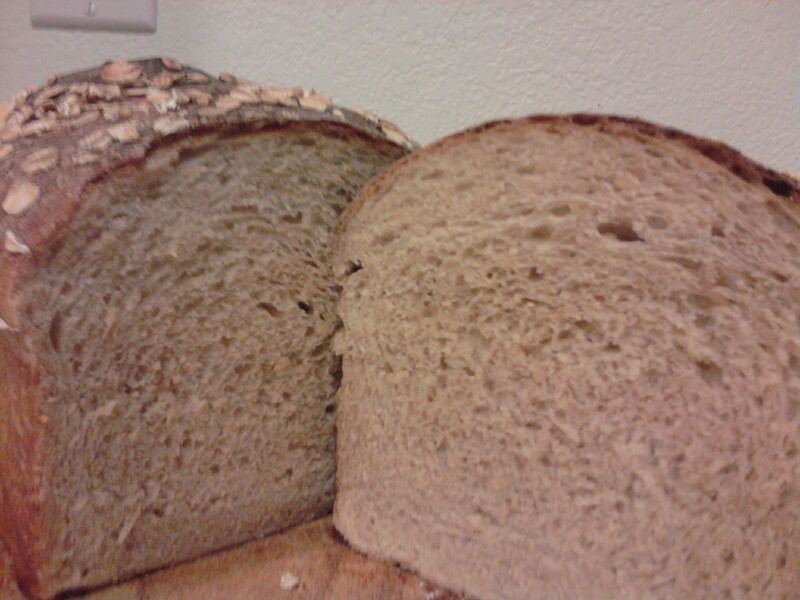 Found it to be a good, servicable recipe resulting in a tender , good-tasting bread. I did an over-night soaker as suggested by JMonkey, the 12 oz water was just enough to wet the fairly coarse whole wheat I was using. Proceeded in the morning without digression except 17 oz water total plus 2 tbsp dried buttermilk powder and 2 tbsp oil, another seemly suggestion by the granola god. I added about a cup more white flour, probably could've managed with less but still the dough was tacky and responsive. It rose well, I folded twice just to be agreeable but don't think it needed it, the dough was in good shape all along. The final proof took no more than an hour. No preheat, I set the oven at 450 for 10 minutes then turned it down to 350 to finish the bake. My suggestion to anyone struggling with this is don't be afraid to toss in a little more flour-- the slackness of an artisan loaf really isn't necessary or even valuable here. As written the recipe produces a very managable dough, but we all know that flours are as tempermental as horses. And don't overproof--the surface full of bubbles that might be so admired on your Ciabatta would in my experience foretell a sandwich loaf that will collapse en route to your cooling rack. Looks like you're a WW god yourself, there. I'm quite sure there would be buyers around here for that bread. Thanks for posting it. You've added your own rendition to a mounting number of demonstrations of how to do high quality, high percentage whole grain breads on this site. I have to admit that once in a while, I'm reminded, as now, that I might be missing out by obsessing too much on sourdough breads. But, can't resist, how's the starter feeding regime going? If you want to post any update in the other thread, I'll find it. Ah, the great loaves in that picture make good sense then. You are, in fact, one of those very experienced whole grain people, as in a WW god. You might like to try a sourdough miche with whole grain in it, then - I mean right after the ciabatta, muahahahahahaha. It's a favorite with at least some around here. 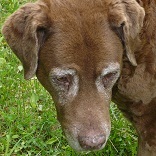 I posted a blog entry about one a while back. You don't have to use all the weird flours. You can just use something like half red whole wheat, half white whole wheat for the whole wheat flour, and bread flour or AP for the white flour and get good results without too much risk of a disaster. The big round loaves are kind of fun for their size. The kids usually are impressed when one comes out of the oven, although only some of them like the whole wheat flavor and texture. but probably not...the beautiful-looking loaves of miche you created, with the ethereal (to follow a theme) slash job, caught my eye at the time, for sure, then I read the process and stumbled over words like 'gloppy'. Furthermore, let me say FURTHERMORE, my good man, I have yet to produce a single adequate loaf of sourdough, now find myself reading ZolablueOnCiabatta with about as much trepidation as I used to experience reading What to Expect When You're Expecting, and you're thinking Miche might loom on my horizon? Oh, gosh, your comments on ciabatta (which I happen to love...hehe) just made me chuckle. Is that like the lines from the movie, Sideways, "No, if anyone orders Merlot, I'm leaving. I am NOT drinking any *beeping* Merlot!" Too funny. MD - that's a great idea! Hmmm, not a bag idea. I'd watch that movie. Shall we collaborate! LOL. How is it that your dough is tacky on top of the additional cup of white flour? I made the recipe not knowing the mixed results with it, and guess what, my bread didn't rise either and was dense inside. I think my problem was the mixing stage. I mixed all on speed 1 in my HobartN50 for 1 min. to combine, then switched to speed 2 (considerably faster than KA's speed 2) for 1 min. Dough broke easily upon performing the windowpane test. I then took the relatively dry dough and gave it about 20 hand kneads (I am a short woman with no upper limb strength) a la Nancy Silverton. It was at this point that I proceeded with the instructions. Can you provide us beginners with mxing instructions (what speed, how long) using the KA or Hobart? Yes I think that the problem with mine was that it was to wet, and maybe slightly overproofed, but it taste good so it's al' right! Floyd, is this the Good Earth recipe? I found a link here to Good Earth Rolls recipe and on another site some one was discussing it and said it was from the restaurant but I'm not familiar with it. You could give it a glance and see if this is it. Ok, I'll start the ball rolling with a failed loaf of Tomsbread WW that I would have thought was perfect. The final proof was about 3 hours in 80 degrees covered with plastic wrap and gently removed. They looked nice going in about 1-1/2 inches above the pan. When they were done, the top looks like an all terrain test grounds. The first slice tells the story. I'm guessing over proofing causes this but I sure don't know how to avoid it. Any suggestions? The killer is it tasts great! That 100% long cold ferment really brings out the flavors of the wheat/rye/malt. I'm not familiar with the recipe - what is it! Please tell me - it looks like wonderful bread. My guess would be you overproofed but since this is sourdough perhaps not and I'm terrible at determining proper proof. How's that for a stab at helping! :o) Also perhaps you did not get enough surface tension in your loaves when you formed them and that is why the top crust separated. You could be right on the surface tension. The dough was slack enough that I had a hard time shaping it well. I could/should have kneaded a little more flour into it maybe. The picture of the top isn't very well focused but you get the idea, it fell under the skin that formed. It looked so good going in, I was surprised. But what a flavor from 100% ww. I'm a convert. I took the second loaf to my friend who is the Bee Keeper this afternoon. They loved it also. Keep that honey flowing! PS: When I figure out the method and formula so it's predictable I'll post it. All I did really is take Tomsbread's idea of a 100%ww-100% ferment and added the flavorful combination I got started with on mountaindogs Tom Leonard formula. Eric, I'll be interested in that bread as well. Though since I haven't done even a white bread sourdough yet, I'm not in a terrible hurry for the recipe! So many breads, so little time. I haunt 2ndhand bookstores for cookbooks! This recipe is from an oldie but goodie called Uprisings - The Whole Grain Bakers' Book, first published in 1983 by an assn. of bakeries producing "real bread" in coop workplaces. Recipes from all their member bakeries, this one from the Uprisings Baking Collective of Berkeley CA. Combine malt and water. Stir in yeast until dissolved. Beat in flour well; let rise until doubled in size. Soak the wheat bran in 1 cup water for a few minutes. Mix the sponge, bran and other ingredients together. Knead well until dough has a uniform feel. Let rise until doubled. Punch down and shape into two 1 1/2 lb. loaves. Let rise again. Bake 35 minutes at 375°F. I make this recipe about every two weeks; my wife likes it a lot. At her suggestion I started adding raisins. I use about 2/3rds of the full recipe for a 9x5 loaf pan, and add about 1/3rd cup raisins just before finishing mixing the dough. thanks for posting this, Floyd! I just baked this yesterday and it turned out great. I was experimenting with white whole-wheat flour for the first time and was quite happy with the results. You can see pictures and read more about my experience with this bread at Flour Girl. I have to try this formula over the weekend. I love whole grain baked goods, focus mainly on sourdough starter breads and stay away from commercial yeast. I caved recently and bought instant yeast from KA so we can have bread regardless of how busy I am with the day job and quilt projects. My husband wants dried fruit and nuts in all his sandwich breads so I think this is the perfect recipe to work with since I have an all day event on Saturday. I have copied notes from JMonkey and Browndog along with the formula from Floyd and the Honey Bran from Apprentice. I have a wonderful Kitchenaid and have never used it to knead bread since this is the only food item that I love to get my hands into. I just might give it a shot with this one anyway. I find my breads rise much faster here in Santa Fe which I attribute to the altitude so I really have to watch my proofing times. I just love this forum but it makes it hard for me to focus on my day job since this a lot more fun to read than how to transition from Exchange 2003 to 2007:-). Hopefully I have some nice loaves to share sometime Sunday from these formulas. I have BR's Whole Grains bread book so I need to sit down with it one evening soon. Oh and regarding the 1lb of flour...isn't that (2) 8oz measuring cups? I saw somewhere it equals 3C ??? I've always gone by the 16oz equals 1 lb rule with flour, and haven't had any issues. Yes, I imagine you could do it either way if you can time it right and make the appropriate adjustments. 16 ounces of water is 1lb, but flour isn't typically as dense. Depending on how lightly sifted or tightly packed your cups are it can take anywhere from 2 1/2 to 4 cups of flour to equal a pound. Three cups is a reasonable estimate but you should adjust based on your own sense of whether it is coming out too dry or too wet. ok but if your directions are for: an hour soak, then 90 mins rise and another 90 minutes rising time. So how would I time right?? Which stage can I allowe to refridgerate overnite? funny my other recipes have called for 4-6C of flour (total) so I was thrown by this, I'll go with 3C where it calls for pound, and hope for the best. I'm hoping the honey sweetens it a bit trying desparately to convert my family to whole grains over white....they are a tough assignment. I'm sure you could cover the soaker and not make the final dough until morning. If you timed it right you could make the final dough, let it rise, then shape and refrigerate overnight but that is a bit trickier. So do whatever you are most comfortable doing. Note that there is an additional 8 ounces of bread flour in the recipe plus another 1/2 cup - 1 cup later, so the grand total ends up close to 2 pounds or 5-6 cups of flour. since I forgot about it last night and had to refrigerate the loaves. I started out with the flour and water then and got busy and forgot about it. When I got back to it I followed the recipe exactly, kneaded in the KA for about 6 minutes on maybe 4. I was distracted with other things, can't you tell. So it looked okay, dumped it in a plastic box forgetting about it for about 90 minutes or so. Shaped the loaves and realized I was too tired to complete it so I covered and threw in the frig. This morning I let them warm and rise and baked. The bread is fantastic! Hubby, who is not a "brown bread" fan thought it was very good. The honey and evaporated milk give it a very nice sweetness and I was amazed that I didn't have bricks. Nice light texture and wnderful taste! Thanks for the recipe. Sure, give molasses a try. Yes, it is a firmer dough than an artisan bread dough. Would you consider using 'turbo' function in the oven to shoten the baking time. If so, how much would it shorten the time? The info on Wholewheat Honey loaves you've posted has me thinking. I was wondering if it could be adapted to be used as a Wholewheat Raisin Loaf or would their be too many other complications? I'd be very interested in your ideas. I've made this 4 times each time is better than the last- thank you so much for sharing this recipe- our family Loves it! I am learning lots from all the wonderful suggestions and comments on this thread. Could one of you knowledgeable people suggest how this recipe could be multiplied for making 4 loaves? Also, as I understand it, it doesn't make a difference to use either bread or AP flour; is that correct? Would there be benefits to combine a ratio of bread and AP? I halved the ingredients and used 15 grms of fresh yeast that may have passed its use by date. I used 50/50 WW and BF but found that I did not need to use all of the liquids. I used 150 to soak the WW and added the remaining 20 grms hot water to my milk in order for it to be warm enough to dissolve the honey. Congratulations Judy, You are not alone. I have tried a variation on this recipe with a flour ratio of AP-10 cups; Bread flour-2 cups; Whole wheat-2 cups. They looked fine coming out of the oven but collapsed down to maybe twice your height of loaves when they cooled. They are still no where near the pic that Floyd has up. Please note that I made sure they were 200 degrees when I took them out of the oven and yes, I did the French folds during the fermentation process, And did the pre-shaping the way Eric and JMonkey suggested to ensure a tight skin. And yes my instant yeast is fresh. Next time I follow the recipe precisely and see what happens. It is indeed a consolation to know that I'm not the only person out there who does not have the ability to handle what appears to be a fairly simple and straightforward bread recipe. I've been baking a loaf almost every week and I'm getting quite sick of eating dense loaves for b'fast 7 days a week as I'm not 100% satisfied with the outcome to share them w/friends. I really like this recipe, but made some changes to it – some on purpose, others inadvertent (comes from not checking the recipe carefully when measuring). Ended up using 1.5 lb unbleached a-p flour and 8 oz whole wheat, because that's what I had. Soaked the w-w in 8 oz mixed hot water and hot evaporated skim milk (wanted to use the whole can). Added 4 oz of honey, and used 1 packet of active dry yeast. The dough ended up pretty dry, so added additional water (that mis-measurement of flour thing) – about 2 oz – to get a workable dough. Hand-kneaded for 10-15 minutes until I got a nice windowpane of dough (way cool when that happens!). This is the dough starting the first rise. Baked according to the original recipe, but checked at 30 minutes (not done yet) and at 40 minutes (very brown and done). It came out very chewy, slightly sweet, and just short of heavy. Seems to have a pretty tight crumb and is moist (amazingly!). My guinea pig (hubby) likes it. Have to try it again next week, getting the flour right. I used molasses b/c I was too cheap to buy honey today. So I must have had conversion problems (cups, ounces, pounds, what's the difference?) because my initial dough, before kneading, was way too sticky, more like the consistency of oatmeal, but I just kept adding bread flour at the end until I got a not-so-sticky dough, maybe another 1, 2 cups than called for. Otherwise, MAN this tastes great!!! Soft on the inside, crunchy on the outside. Also I'm not the greatest loaf maker, but I think they look okay. Using this recipee as the foundation, adding a bit more sweetness, as well as butermilk soaked oats, I managed to make some spectacular sanwich bread. It comes out nice and soft so the kids love it. Would you offer your recipe? Your loaves are beautiful and they look soft, something my children would prefer. 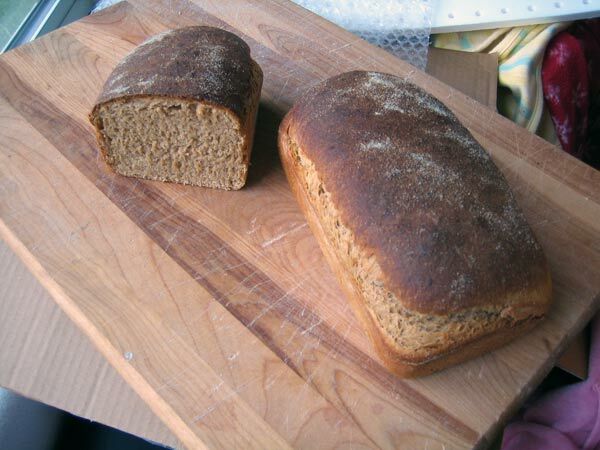 Anyone interested in another honey-type whole wheat bread might want to take a look at a recipe I posted up almost 2 yrs ago. I made this this weekend and it was yummy! Thanx. I do have a question though; it is something that happened in this loaf and other loaves too: The bread is light and soft with nich holes in the crumb but often in my loaves the bottom tiny quarter centimeter of a loaf will have a closed crumb and hence a tad dense. How do I ensure that the open crumb goes all the way from the top to the bottom tip? It is really so little that I should probably not worry but...I do know that when I made sourdough last year ( am back to yeast coz of a change of place and losing my sourdough...long story for another time) I did not have this problem. The loaf was light and airy all the way through in my sourdough loaf. It seems to be a problem only with my yeast loaves. Any advice is welcome. "often in my loaves the bottom tiny quarter centimeter of a loaf will have a closed crumb and hence a tad dense." I use an electric oven and usually place the bread on the second or third shelf up from bottom. When I bake I usually do 4 loaves and bake them for 1 hour. Length of baking time I believe does help on addressing this. I love to use Agave nectar and never hesitate to use it in place of honey if I want to. I just read a post by someone who used molasses and said it tasted wonderful, they certainly look wonderful, so I would say go for it. Nice that we each get to make our own choices about what we eat and why, don't need to explain ourselves ever. 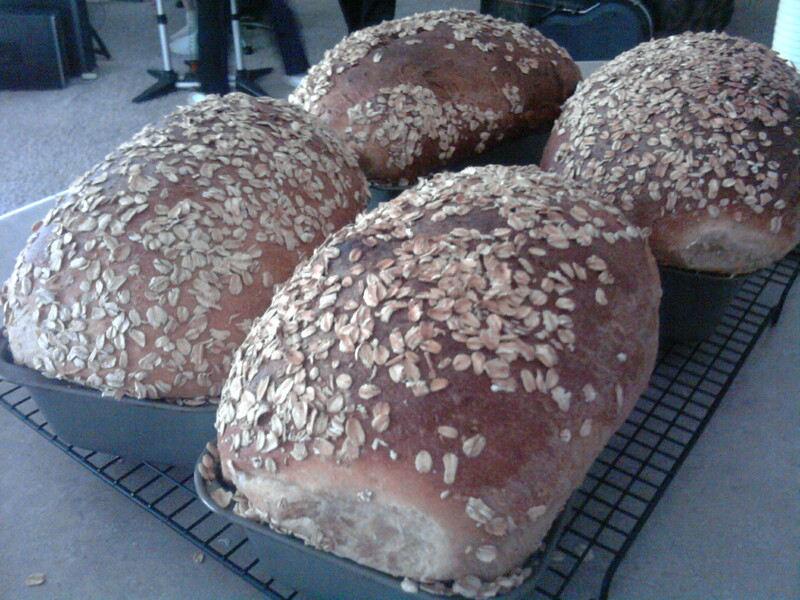 I have got to get back to baking my own breads again as I really, really miss it. Have to try the version by jlewis30 and would LOVE your recipe! I finally achieved success with this bread. My modifications to the ingredients were to substitute 2% milk for the condensed milk, and added 1 tsp sugar to add the sweetness found in the condensed milk. I also found that I was over-proofing and over-kneading which caused bricks instead of bread. I did the bulk ferment for 60 minutes and proofed for 45 minutes. I set the oven to 375 and left it there. It baked for about 35 minutes and produced an internal temperature of 200. Needless to say this bread will be done many times over. Am using a Dutch Oven to bake this recipe but am not getting a good crust. I brush water on the top, put on the lid, and put it in the oven, and then bake it and take off the lid for the last 1/3 of the time. But my crust is no better than without the Dutch Oven. Please advise what the secret is with using a Dutch Oven. Yeah, this really isn't a crusty bread. Too much fat in the recipe. Replace the milk with water and you might get something more like what you are looking for. Many thanks for the suggestion of omitting the milk. Will definitely try it. Thanks for sharing your success. I know the feeling well. Sounds like you are now hooked and hopefully we will be hearing more about your bread adventures using your fruit yeast waters. Bench resting of 20 mins. and Proofing of 30 mins. I have been baking this as my basic recipe every other week for 2 yrs. now and find it took awhile to settle into it. By the way I use the recipe x4 for 4 loaves and with modifications it works. Three years failure with this recipe, and baking it every other week, however, although the bread is great I never get the gringne. I want to be able to get great gringne consistantly and have a pop the way everyone else does. What is the cause of my failure? of bread. I wouldn't expect to get one. Everyone else? Who? So I get la grigne really nice on some loaves but only rarely and my bread never makes the sound of a pop in the oven that others have mentioned. I love the recipe and bread but must be doing something wrong if I can't cause to happen often. This is an enriched sandwich-style bread that is intended to be baked in loaf pans at moderate temperatures. As such, it is not surprising that you aren't seeing either a grigne or big oven spring with any consistency. This bread isn't designed to do either. If you want to see a grigne and significant oven spring, work with a lean bread that has fairly high hydration and bake it hearth-style on a stone at high temperatures. The usual admonitions about proper fermentation, shaping, and slashing still apply, of course. I did not know that; many thanks. I will try to make it leaner in anycase. This is my first post on this forum! I really liked the sound of the idea of soaking the whole meal flour first, so I thought I'd give this recipe a go. I have been making mostly whole wheat bread for quite a long time, and am always looking out for new methods. As I live in Australia, I converted the measurements to metric, then used 3/4 quantity to make one large loaf instead of two. Instead of the evaporated milk, I used 1/3 cup milk powder and enough water to make up the correct quantity. Very happy with the result, eating it with some minestrone style soup for dinner tonight. Welcome to the forum. There are numerous Australians on board. Hmmm, real bread and ministrone sounds great. I might just have to make some. Yes, soaking the whole grain flours first is quite nice. HI, this was ages ago, but I had saved the recipe to my Paprika recipe app (this is great if you haven't already got it!) It reminds me to give this one another go. Here are my converted amounts, plus the reduced amount, which is what I used to achieve just one largish loaf. In Bread Baking 101 by Max Bernstein he talks about letting the dough rest after mixing the dough and water (autolyse) and then he talks about bulk fermentation. Why do you not include this in recipe or is it necessary?